The Volcano newspaper publishes print editions four times a year. These old school paper copies are essential for connecting to the low-income communities that we prioritize in every level of our work. Only 62% of the bottom quarter of income earners in Canada have access to internet in their homes, and for the lowest income people in BC – particularly those in homeless camps, shelters, and low-income housing – the internet is something you can use to check facebook in a community centre, not linger and read articles. So while print media may be scaling back for mainstream publications, it remains vital to strengthening communications between low-income people. We publish The Volcano newspaper because people ask for it in homeless camps in places like Maple Ridge, where low-income people live under scorn and the constant threat of vigilante violence. 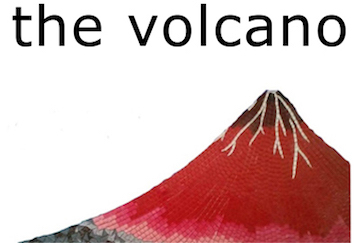 Where else but The Volcano are their passions and daily lives reflected, published, and analyzed? Where else are their ideas and struggles put into discussion with other homeless and displaced people? The Volcano is an integral part of the growing anti-displacement movement in western Canada. The Volcano prints 8,000 copies of our 24-page tabloid paper. About a quarter of these are distributed in the Downtown Eastside, and another quarter goes to community centres and hubs in East Vancouver. The other half is distributed in Victoria, the Fraser Valley, and in the Interior and Central BC. The Volcano has no institutional or foundation funding. We depend entirely on donations from our supporters. Every penny you donate to The Volcano goes to pay for printing and distribution. Printing costs about $1,200 per issue (though our next issue will be more expensive because we plan to include a supplement insert). We have not yet been able to completely subsidize the costs of gas for our distribution volunteers but we are determined to pay these costs this issue. So far we have not been able to pay writers, but if you are able to give a regular donation, you could bring us closer to paying and mentoring low-income and Indigenous writers to better and more directly represent themselves and their communities. We appreciate every donation but the kind we like best is regular funding. Our funding dream is to build a regular base of small donators who give $20 (or more!) per month so that the load of funding is not borne too heavily by any one donor. Donate through PayPal by clicking the button at the top right of this page!